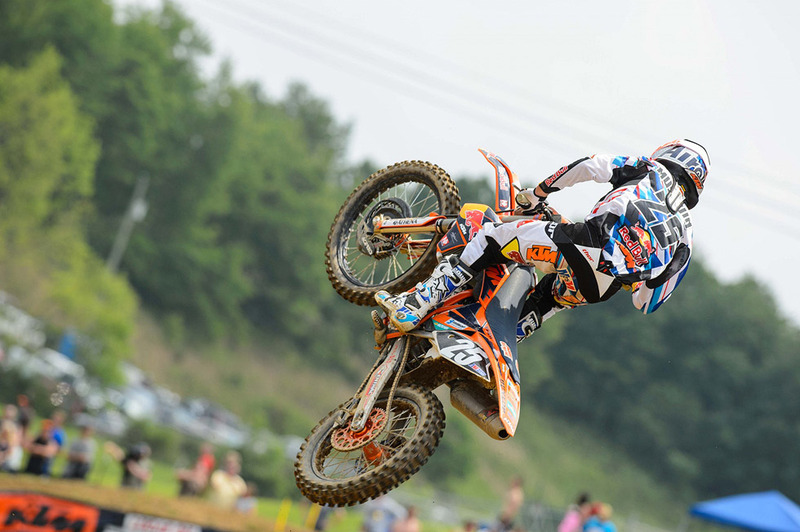 Musquin is on it right now! He held off Roczen in the 2nd moto for his first career moto win and second consecutive overall via 2-1 scores with Roczen (1-2) and Tomac (3-4) rounding out the podium. 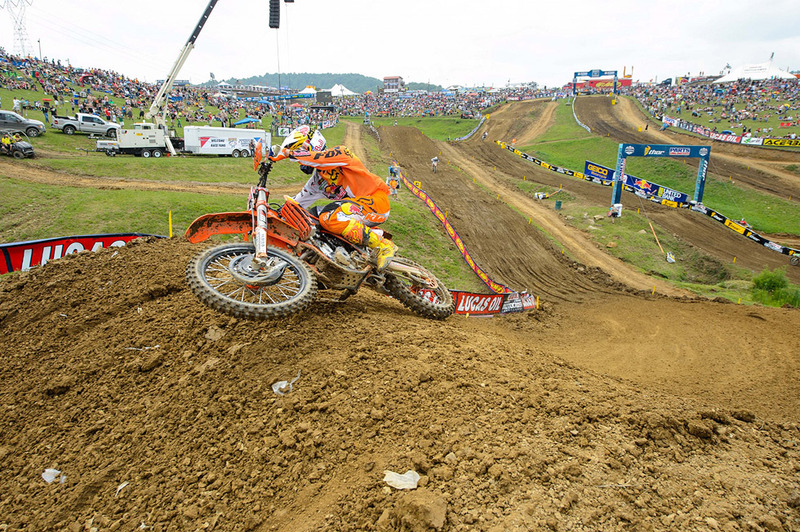 Red Bull KTM Factory Team riders Marvin Musquin and Ken Roczen scored an epict 1-2 in the 250s at Rd. 4 of the US Pro Motocross Championship Series at the High Point Raceway in Mt. Morris on Saturday. 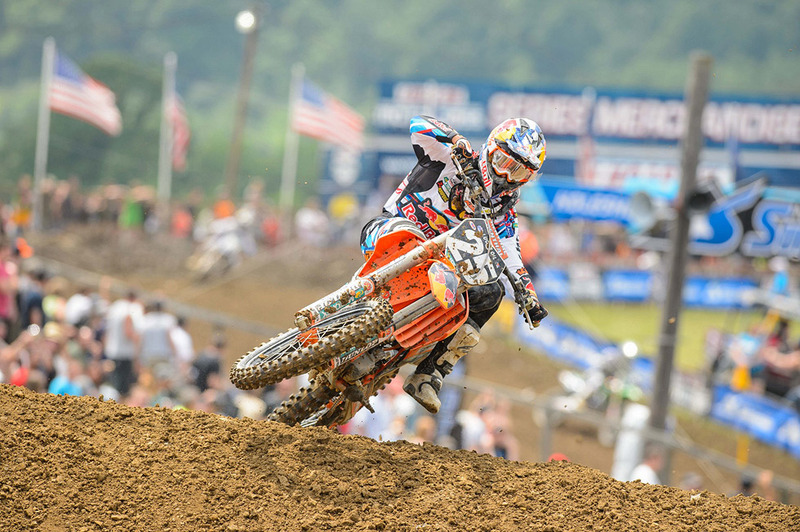 Teammate Ryan Dungey maintained his consistency picking up another second place in the 450 class. The overall was decided in a breathtaking final few laps of the second moto when Musquin and Roczen at times rode wheel on wheel to fight for the final glory. Roczen had taken the first moto win by leading every lap and Musquin, his French teammate came from sixth at the start to finish second, telling reporters he needed to be more aggressive at the start of races. 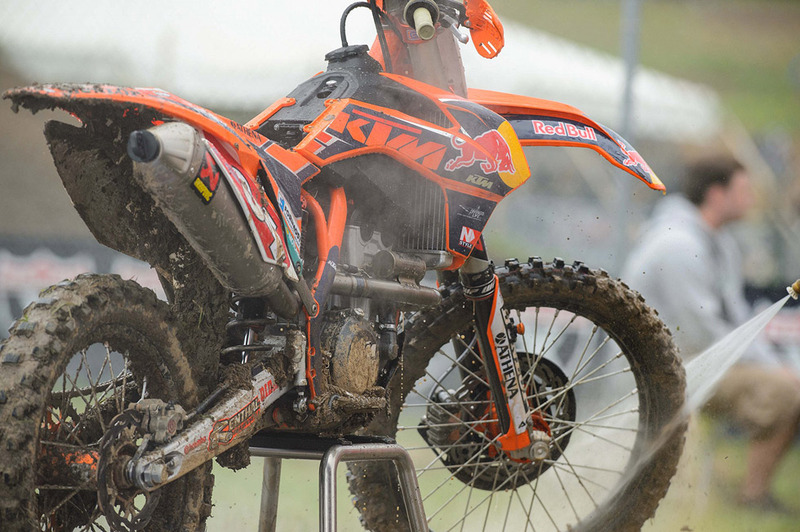 Musquin put this into action in race two and prevailed. As the two Red Bull KTM teammates attacked the second moto, it was Musquin who nailed the holeshot while Roczen made the most of a bad jump off the line to come around the opening corner in fifth. 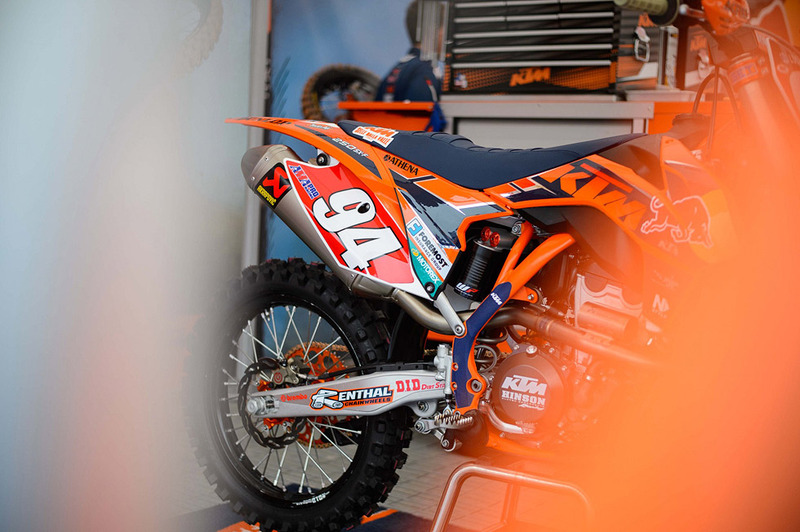 The German teenager quickly set to work to try and reel in his teammate, slipping past one rider each lap until he was tucked in behind Musquin in second place. 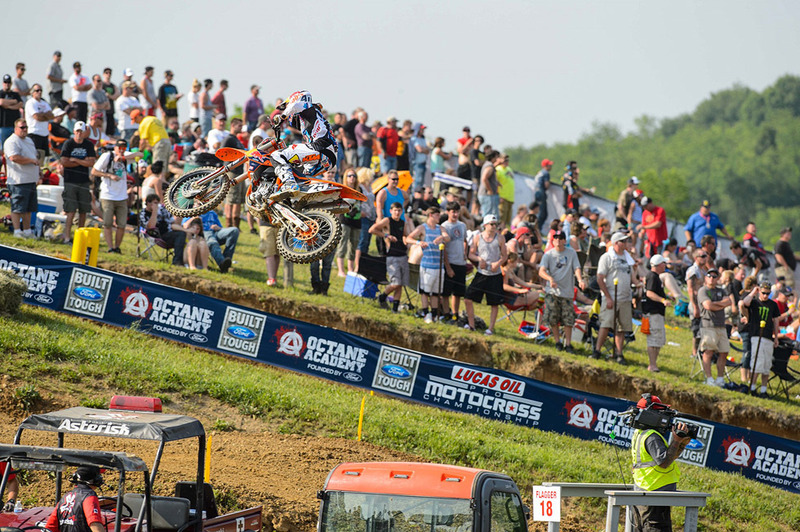 Roczen pressured his teammate for the entire race but a committed Musquin was undeterred and went on to take his first career moto in this US competition and second consecutive overall of the season. 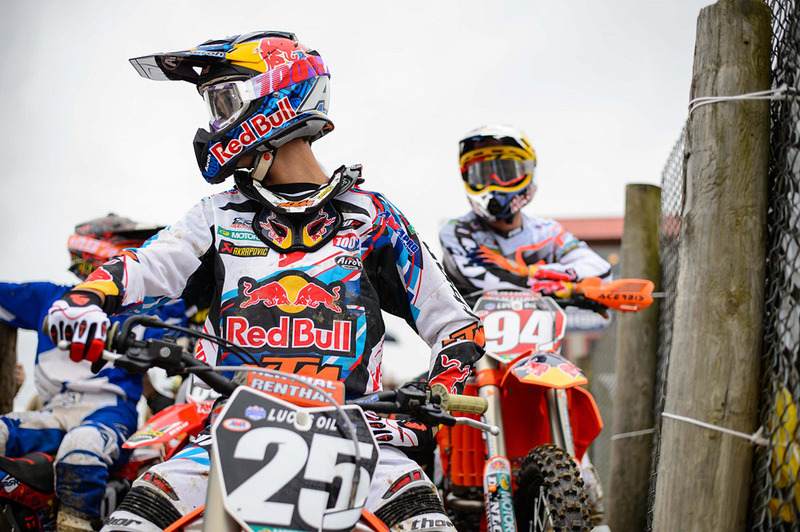 Musquin and Roczen are both former MX2 World Champions as well as long-term teammates for Red Bull KTM on both sides of the Atlantic. “It was great to battle with my teammate and have both of us on the top of the podium. 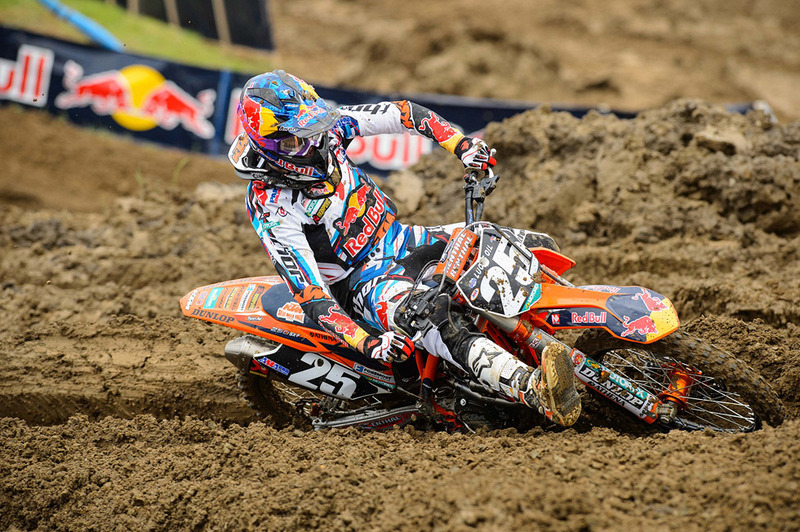 I hope we can continue like this for the rest of the season,” Musquin said. 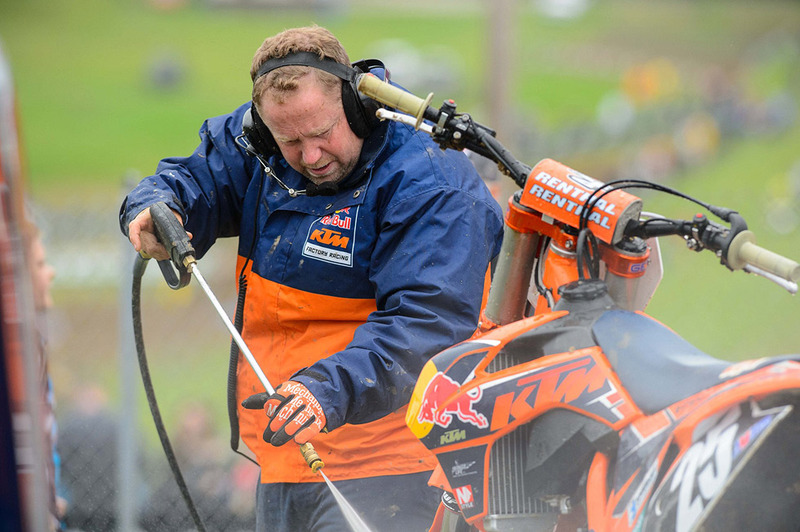 Red Bull KTM Factory rider Ryan Dungey was also in strong form finishing second overall in the 450 class after picking up 2-2 moto finishes in the fourth round of his competition. 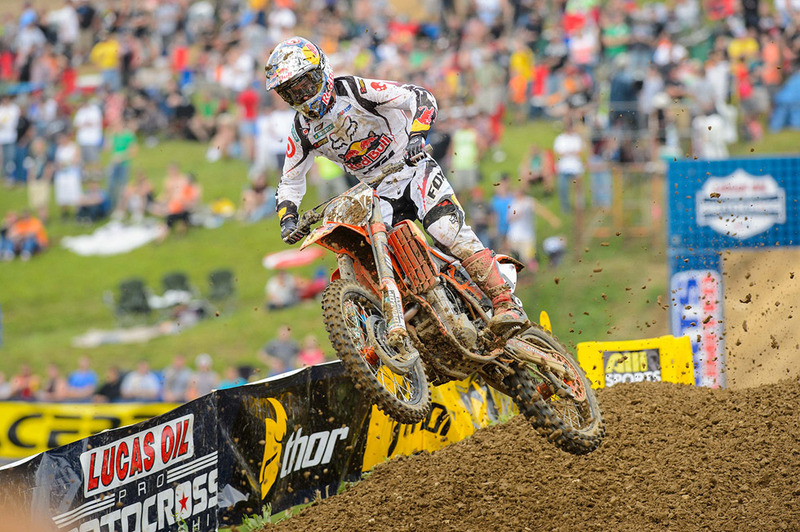 Dungey was out of the gate in sixth spot in the opening moto and had advanced to fourth two laps into the race. 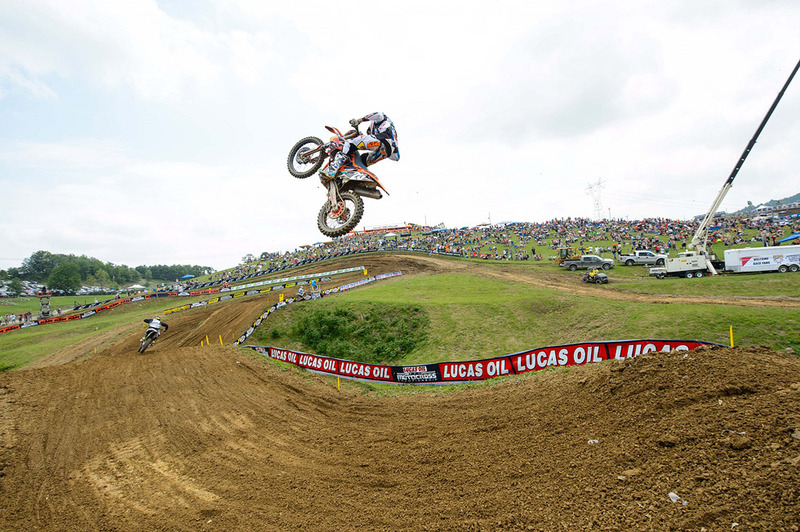 He then slotted in behind the third placed rider and began to chase down second-placed Justin Barcia. He made the pass a handful of laps later, settled in behind the leader Ryan Villopoto and proceeded to click off fast lap times right to the flag. Dungey nearly earned the holeshot in the second moto, heading into the opening corner right on the wheels of Ryan Villopoto and Josh Grant as they headed for the first jump. 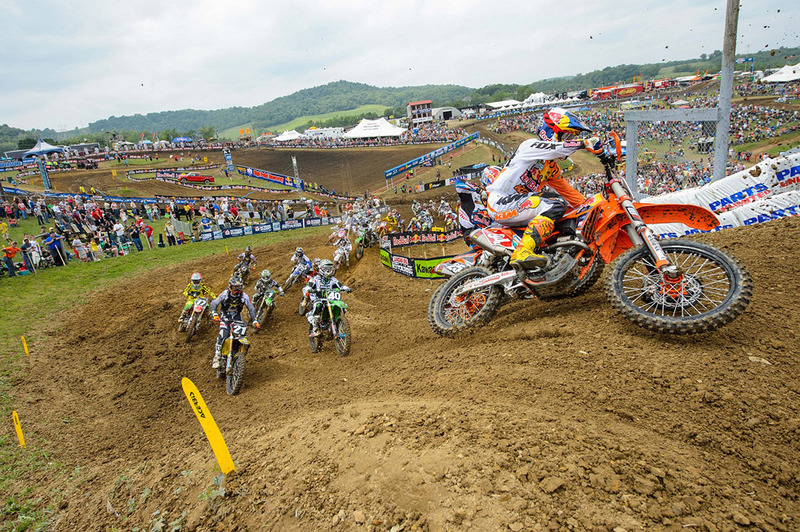 After lead changes in the opening lap, Dungey found himself trailing James Stewart and Grant at the start of the second lap. He slipped passed pass Grant on the third lap and began to pressure Stewart for the lead. This three-way battle for the lead ensued until Villopoto entered the fray and they raced side by side for the next two laps before Stewart pulled off with a bike problem allowing Villopoto into the lead. 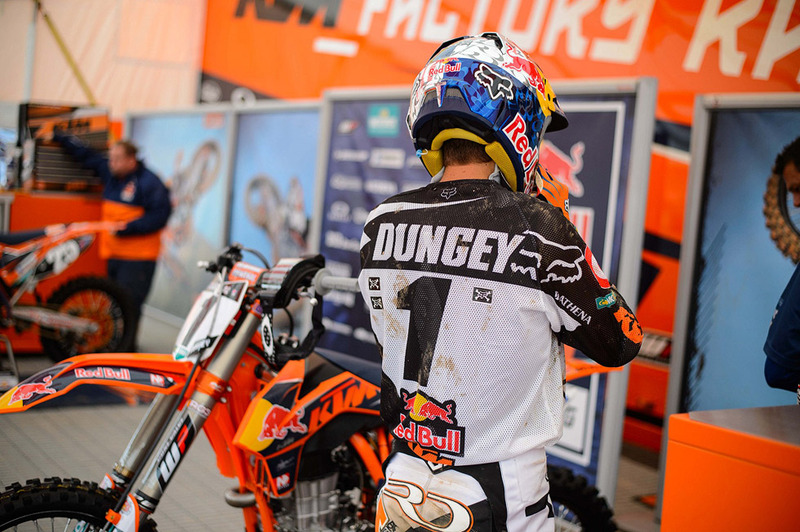 Dungey held his position and put together a solid moto to finish second overall. His 2-2 and overall second meant he maintains his second place in the championship points.